The recent passing of writer/producer/actor Harold Ramis is a devastating one for Hollywood and his fans. He is probably the most important and funniest writer of the past 40 years. He brought us such masterpieces of comedy as Animal House, Meatballs, Caddyshack, Stripes, Ghostubsters, Back To School, Club Paradise, Armed And Dangerous, Groundhog Day and more. He and writer/director Quentin Tarantino must be the most quoted writers in modern Hollywood history. The day he entered the legendary Second City TV troupe he was bound for success and fame. He knew how to structure the absurdities in all of us and bring them to the screen where actors turned these lines and plots into legendary performances. He’s had people laughing for 40 years or more. That’s a tribute to his wit, skills, and integrity. Ramis never stopped changing the game in Hollywood. Now he’s gone to that big writer’s cafe in the sky but fans can find lots of his works online via streaming and it’s a good bet they will never take down anything that Harold Ramis created. 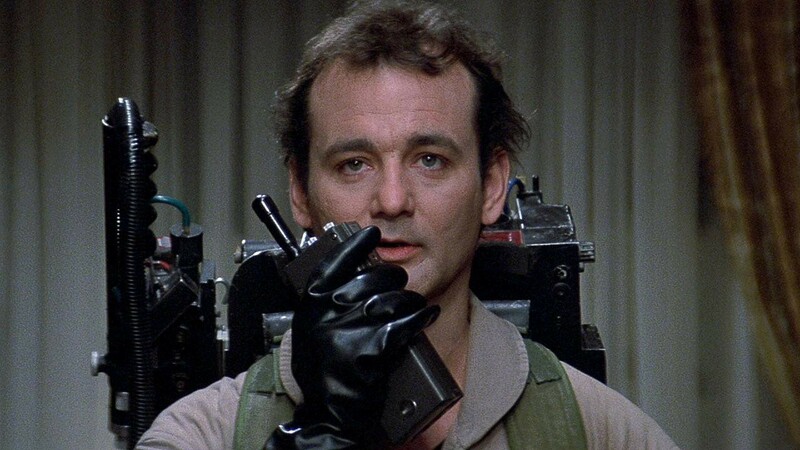 When Ghostbusters hit the screens in 1984 audiences were astounded and amazed and became instant fans of the four men with their ghost hunting gear. It was a huge hit across all the demographics and the world itself found itself singing the theme song, buying books and toys and anything with the Ghostbuster logo on it. SNL alumni Bill Murray and Dan Ackroyd, genius writer Harold Ramis, and fan favorite Ernie Hudson teamed up with the gorgeous Sigourney Weaver to a franchise that has made lots of money and had lots of controversy. The series has only two features under its belt but tons of comic books, video games, and an animated series. The second movie swerved away from the expectations of the audience regarding Murray and Weaver’s romance and the new villain of the piece was a bit out of even the extraordinary. It was a hit anyway and fans figured a third installment would happen soon but it never did. It’s one of the biggest disappointment s in Hollywood history. Ghostbusters snagged audiences like Star Wars did and not to have a sequel left audiences with their hands open wanting more. Now with the passing of the heart of the Ghostbuster franchise, writer/creator/actor Harold Ramis who played Egon, the franchise’s future is up in the air. Can it be salvaged? Only under the most amazing creative means. The movies and cartoons can be seen on streaming video sites thank goodness so Ghostbusters fans can relive the good old days.